Try these year-end tips to cut clutter and start the New Year off organized. Tip 1 – Santa’s Rule: Get One, Toss Two~ For each new gift received, give two old ones to charity. Donate it’s the perfect way to cut clutter. Not only will this help cut clutter, but it’ll also be giving to those less fortunate. Tip 2 -Take the Holiday Mailbox Challenge ~ After the holidays, there seems to be a plethora of empty cardboard boxes that came in the mail containing gifts. Instead of just tossing them, challenge yourself to fill them all up with unwanted items from around the house, clothes, kitchenware, tools, etc. and donate to charity before the end of the year. Tip 3 – Sort holiday decorations ~ before you stow them away in storage. This will make them easier to pack up, and that much easier next year to take out and use. Tip 4 -Send White Elephant Gifts on their way ~ Don’t let those “Oh you shouldn’t have… no really you shouldn’t have” gifts take up space and add to the clutter in your home. Place them in a closet for re-gifting next year, donate them, or sell them, but there’s really no need for them to be creating clutter in your home. The bottom line is: Set aside items you are no longer in need of or want-of and donate to charity, now. It helps you and others! There is NO Excess In Charity!! Everyone has their special unique ways of organizing a stockpile. But here is something we all need to pay attention to when you are organizing your stockpile. I am sharing this information with you again, in case you are new to stockpiling or need a reminder! I picked up some cases of items I was running short on in my stockpile. Kroger Chains had a case lot sale on staple items: canned beans, canned tomatoes, canned tomato sauce and so on. When I add to my stockpile in the pantry, I do not just place the items at the back, behind my previous purchases. Instead, I check the expiration dates. 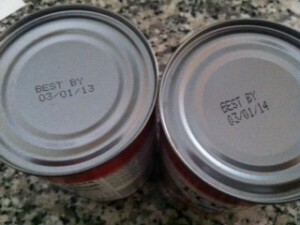 Here’s why: The can pictured above right is the canned tomatoes I purchased in November (3/01/14 expiration) and then on the left is the canned tomatoes I bought last week (3/01/13) and yet they expire an entire YEAR earlier! I know we assume the most recently purchased items will have an expiration date further out than the current items at home, but it is not always the case! I created a video about how I quickly maintain my stockpile and I hope you find it useful. And when you are organizing your stockpile double check expiration dates to help prevent any loss of item. Do you have any quick tips on organizing your stockpile you would like to share? Here is the simplest, most efficient way to organize your closet at the beginning of each season taking only seconds and will over-haul your closet without effort, top to bottom. Too good to be true? I say Not So!! Do you find from one season to the next that maybe 1/2 your clothes are worn? Can you even remember what Spring/Summer clothes you wore last year and what things are just taking up room? Here is your solution to an organized closet. As the season changes. I bet you are in the process of getting out clothes for the new season. As you are transitioning the clothes are you going to donate any clothes you didn’t wear? If you’re like me, probably not because I don’t know what I actually wore year. How many times do you browse through your clothes wanting to streamline or donate and say to yourself, “I know I will wear that someday.” Even though you know you haven’t worn it in a year!! That’s ME!! I hang onto clothes thinking I will wear it someday!! I love hearing about different ways to organize and when I saw this tip, I ran to my closet IMMEDIATELY and implemented this organized clothes closet tip! As you wash and wear them, rehang them the normal way. At the end of the season all the clothes still hanging ‘backwards’, donate! This is a tangible way to see what you’ve worn and what you have not. 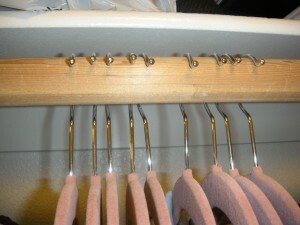 By doing this you will have an organized clothes closet and visually see what was worn and not worn. Do this for 100% of your clothes, not just seasonal items and at the end of the year, donate what wasn’t worn. I typically use a time-frame of 9 months to a year because it is hot here most of the time. Try it! This is the prefect way to have an organized kids closet too, and know what needs to be donated or consigned! Do you have any great tips to have an organized clothes closet? Do share!! Winter is almost over and Spring is coming, and it’s time to get organized! Are you so overwhelmed by the clutter in your home that you don’t even know where to begin? How to get organized and declutter tips will help you dig out of the winter and prepare for Spring. (Hopefully!!) Click for a 2 great ebooks to help you organize: How to Streamline, Simplify, and Organize your Closet and Household Organization . Double check price, it was free! Get the free kindle ereader too! 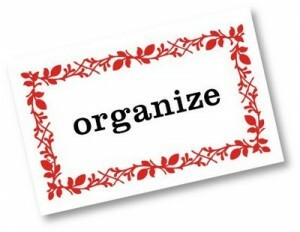 Organize: Starting Slow and Be Steady. Giving up your whole day to decide to get organized or just cleaning up won’t do you much good. In the long run; the mess will come back. Take getting organized a little at a time, that way you don’t lose a day or two to cleaning, and the clutter gradually goes away. Schedule: Easily Add Regular Declutter and Organization Sessions. Setting aside 15 minutes a day, or even 2-4 hours a week to clean up and get organized in your home. 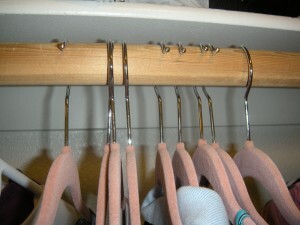 This will really help keep your things less messy and more organized, and also give you time to do other daily chores. Pick only one spot at a time! It is a bite sized piece. Choose the desk, a single cabinet or a drawer. Don’t Forget: Change Begins with You! Draconian measures taken on your family, especially your kids, to get organized can only work for so long. 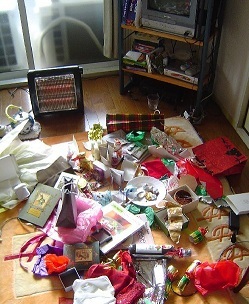 Decluttering will only be enforced when you are present, leading to frustration and aggravation on your part. If you want your family to get on board the declutter and get organized train, then you need to be the one in the engine car steering it along. Don’t expect your family to pick up habits you yourself don’t even have, so work on remembering to keep your space clutter free and then nudge your family along to follow suit. Involved Kids: Having FUN Options! One quick way and fun way I get the twins to declutter and organize is to put a time limit challenge before them. Once a week, I pick one space (a drawer, a closet shelf (not the whole thing), corner or specific thing: books, puzzles, littlest pet shops, hot wheels, gaming spot) and have a race against the clock game. I give them 5 minutes, or similar appropriate time to either organize or bring me 5 things that are to be thrown away, donated or sold. It is not enough time for them to “get bored” or really even complete the project. It is designed to get them to make a quick decision, get something decluttered or organized. And one “winner” gets bragging rights! I pick a winner by deciding who did the best job etc. What Decluttering Tips do you have? I would love to hear your tips on getting older kids involved. My tips work great for the under 9ish age, but what about older kids? How to get the to help with decluttering and organizing? Don’t forget the free organizing ebooks: How to Streamline, Simplify, and Organize your Closet and Household Organization . Double check price, it was free! Get the free kindle ereader too! Updated:** found another awesome ebook!!! 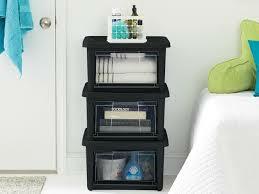 If you are spring cleaning, then you may want to print this new coupon for Rubbermaid All Access Medium Organizer. This is a rare one and it may not be around for very long, so print while you can. Search through the Free Coupon Database to find more of your favorite coupons. Free Guide To Getting Organized With Humor! Calling all funny and disorganized women!! If you are feeling like me today you need this free ebook Get Organized NOW! or at Least Sometime Before You Die. . .! But get it while it’s free, which is only for the next 24 hours or so! And download the free ereader for your device or computer too! • Do you have hostility towards your laundry? • Do you feel like you are drowning in a sea of clutter? • Are you sick and tired of “trying” to get organized? Finally, a book written on how to get organized written by an expert–an expert in disorganization. • Who you can blame for the mess. • Top ten procrastination techniques of all time. • The truth: do disorganized people have more fun? Funny Woman Guide to Get Organized NOW! or at Least Sometime Before You Die. . . Click to get it downloaded and laugh and feel better about all the mess! Inside “The Stress Free You: How to Live Stress Free and Feel Great Everyday, Starting Today” is an easy-to-implement system which you can use today to knock out the stressors in your life one by one. Get your copy FREE Copy and begin knocking out your daily stressors today!